"We make our wines, like we live our lives... in balance." This deliberate harmony and proportion are evident in Taylor Family Vineyard's award winning full-bodied Hillside Chardonnays and luscious Reserve Cabernets. As the name reveals, Taylor Family Vineyards is a family owned operation, headed by Jerry and Pat Taylor who have been married for over fifty years. The Taylor family bought 23 acres in Stags Leap District in 1976 and have been growing award winning fruit for over 20 years. They began bottling under their own label in 2002. The Stags Leap District, located directly above Napa Valley, is comprised of soil from volcanic eruptions millions of years ago and old river sediments from where the Napa River once ran. The fruit that grows from this soil result in the “rock soft” wines of the Stags Leap District. The grapes can attribute their excellent balance of acid and sugar to quickly rising temperatures during the day that yield to cool, fresh ocean air in the evening, brought in from the San Pablo Bay. “We believe that great wines begin in the vineyard. Our primary goal is to develop our wines with a gentle hand in the cellar to enhance the properties of our fruit and the Stags Leap District,” says Sandy. She can also easily keep track of their Wine Club Members and is able to tell which customers have bought from them or if a particular marketing campaign has worked with AccountEdge’s customer tracking reports. “Most importantly, I can determine my Cost of Goods and make smart business decisions about pricing,” she says. 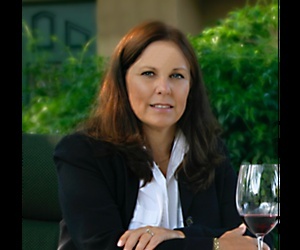 Sandy set up AccountEdge herself, having used the program before when she worked as a controller for another small winery. “Setting it up was simple,” she says. Family owned and operated, they have no paid employees, but make daily use of the Accounts, Sales, Purchases, Inventory and Card File command centers. AccountEdge’s robust reporting features are used to analyze the state of the business with Customer Sales reports, Jobs Transactions, and Balance Sheets and P&L the reports most important to understanding the financial picture of the company. Sandy also makes use of the Merchant Account Service to accept credit cards from customers.